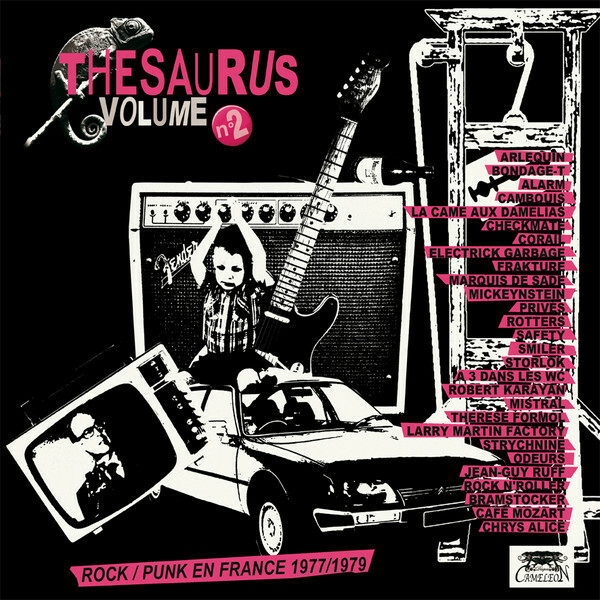 Second Volume by Cameleon Records with rare goodies of the early French punk era cobbled together on a double album with deatiled infos on the gatefold sleeve (unfortunately not within and I would be pleased about good scans). In addition to well-known songs that are almost always found contains this compilation many, for me, new interesting bands which made only a 7Inch or a demo but the numerous French posts in this blog make clear how big the underground scene was in this country and not only in the punk sector, also decent rock’n’roll comes from there and also wave, post-punk or garage stuff (see Volume 1). And now: open ears for twenty-eight glorious stars and have fun browsing the singles, should one be down leave a comment, I’ll fix it immediately.